As some might have noticed the Binding of Ipos and its precursors have a lot of text written on them. At first glance it looks like regular New Krytan but on closer inspection it's nothing alike. I've taken the time to analyze all textures and it looks like these are unique characters that make up different words. I've also spent some time on separating some of these characters and ran them through deciphering tools with mixed but promising results. 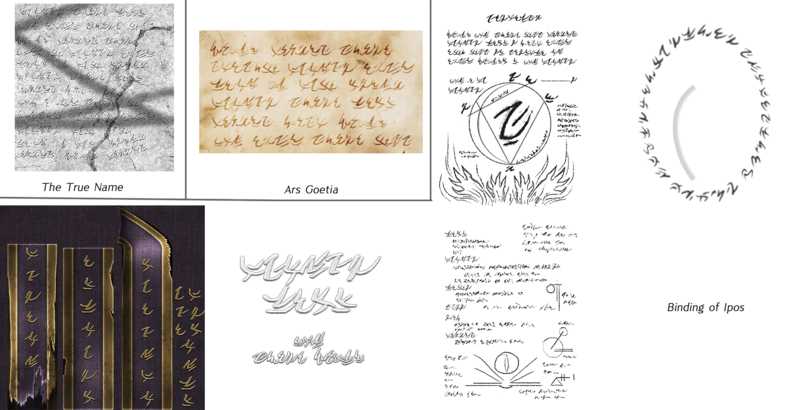 Now I think it would be awesome for anybody interested in this stuff to try and help me out to decode this, because up till now we haven't seen a new language this close to being translatable since the launch of the game (Mursaat is still a giant mystery) and it might hold some cool lore!